AT&T on Wednesday announced that it has officially activated its 4G LTE network in Tampa-St. Petersburg and Sarasota-Bradenton, Florida, bringing the total 4G LTE market count to 28. The carrier also said that it is expanding its Raleigh, North Carolina network into Durham, North Carolina. AT&T's 4G LTE network has offered incredible speeds so far; we were able to achieve download speeds in the ~12Mbps area during a quick test of the Samsung Galaxy Note LTE in our Irvine, California offices on Tuesday. AT&T's 4G LTE devices include the LG Nitro HD, the Samsung Galaxy Tab 8.9, the Samsung Galaxy S II Skyrocket and the HTC Vivid. It will soon offer the Samsung Galaxy Note LTE and is expected to launch the Nokia Lumia 900, another LTE device, in March. AT&T has expanded its 4G LTE network to Durham, bringing more customers the latest generation of wireless network technology. AT&T launched 4G LTE in Raleigh on Jan. 5, and the expanded coverage is part of its ongoing rollout across the market. AT&T 4G LTE coverage now includes parts of Raleigh, Chapel Hill and Durham. "AT&T is committed to investing in advanced technologies that meet our customers' needs and help stimulate economic growth and job creation," said Cynthia Marshall, President AT&T North Carolina. Faster speeds. LTE technology is capable of delivering speeds faster than many other mobile broadband technologies. Customers can stream, download, upload and game faster than ever before. "We've seen positive response from customers on our 4G LTE launch, and as today's expansion shows, we're continuing our rollout of fast LTE speeds to more areas in the Triangle," said Laurent Therivel, AT&T's VP/GM of Mobility and Consumer Markets in the Carolinas. AT&T will continue to expand its 4G LTE footprint in Triangle over the coming months. AT&T has launched 4G LTE in 28 markets nationwide. Even as AT&T 4G LTE expands, customers will be able to enjoy more consistent 4G speeds on their compatible device as they move in and out of LTE areas. 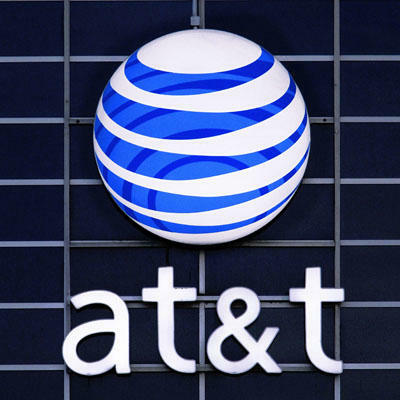 Not only is AT&T deploying 4G LTE, it has also deployed fast HSPA+ technology throughout its mobile broadband network. HSPA+, when combined with enhanced backhaul, provides customers with 4G speeds. Customers of competitors who have transitioned to LTE without further speed upgrades to their existing networks are likely to see a jarring drop-off in speeds when they move out of LTE areas.